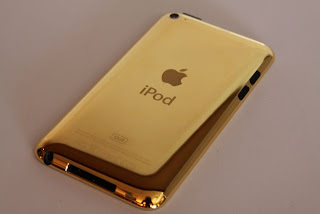 iPod Touch 4 Screen Repair - Most Trusted IPhone Repair Specialist. Iphone 3GS/4/4S/5/5c/5s, IPAD 2/3/4, Mini, Air, IPod Touch 4. Nobody can fix it? Bring It On. These are the most common story of iPod Touch 4 Screen Repair request. Derrick: well today at school i dropped my ipod and the screen shattered and it mad me both mad and sad and then i asked my mom if we have they still have the warrinty and she said no well i just got it was christmas last year so its not even a year old!!!! someone please help me !!!!!!!!!!! Ellen: I dropped my ipod touch 4g and the screen broke, also the touch screen doesn't work anymore, its not even a year old yet, but I didn't buy apple care for it will they replace the screen? or do I have to buy one of those DIY kits? No worries! Derrick & Ellen, Your Broken iPod Touch 4th Gen Screen can be repaired by Professional iPod Repairers Quickly.